Viv & Ingrid gave us the BEST Christmas gift! 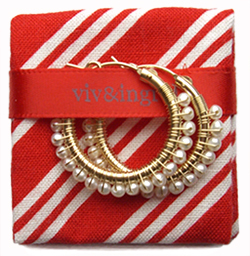 Our friends at Viv & Ingrid (which includes alumna Ingrid Chen) injected us with the holiday spirit by giving all of our readers a 25% discount off of everything (doesn’t include shipping, gift wrap, e-gift cards and previous orders -sorry!) at their online store, vivandingrid.com. Just enter in the code FASHIONSCHOOL at checkout and you’re set! The code is valid until February 15, 2010 so be sure to get your shop on! Thanks Viv & Ingrid! You’re the best! Next Happy Holidays from Fashion School Daily!